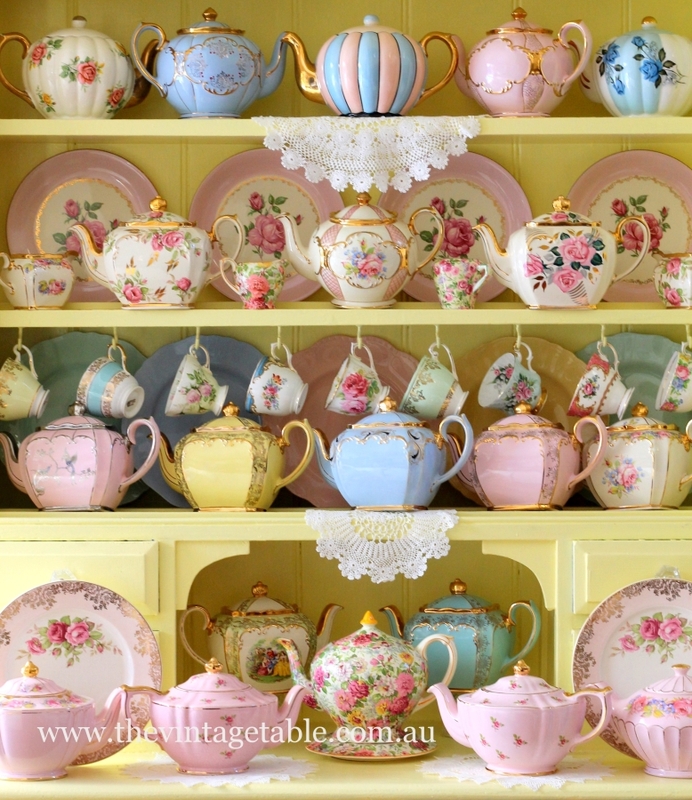 The Vintage Table is the culmination of a life long love affair with beautiful vintage china, tea parties and antiques and more than 30 years of collecting. I have been collecting and learning about beautiful old things ever since I was very young and over the years I have acquired a large collection of vintage china, silver, table wares and stunning one-off pieces. Our collection is perfect for the high tea hostess, DIY bride, wedding planner or stylist. We even hire to other vintage hire companies! 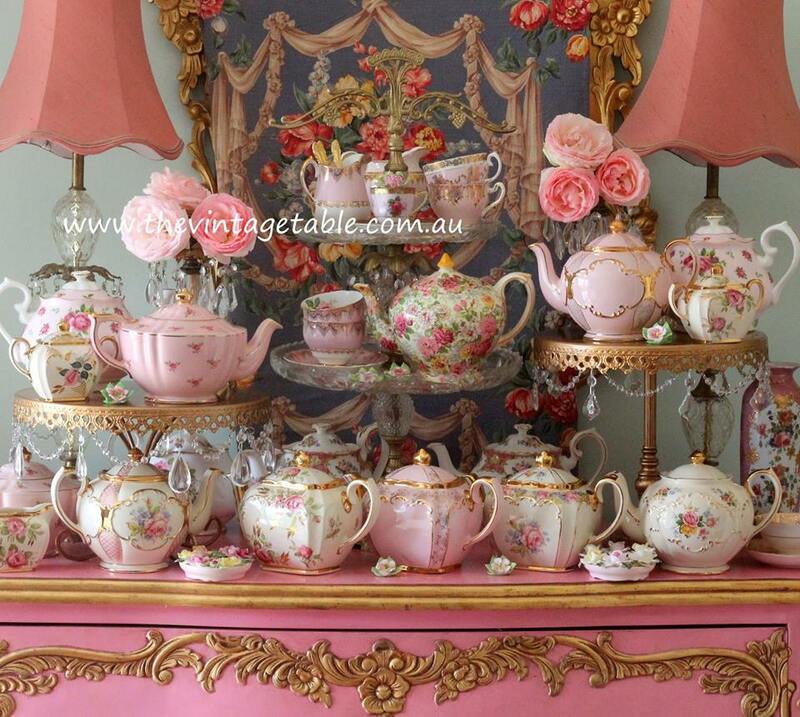 We have the largest and most extensive collection of vintage tablewares in Perth. Our clients events are both modern and timeless. We believe in sustainable celebrations and we love the quality and craftsmanship of vintage pieces to a standard not often seen in today’s mass produced tablewares. I had been loaning my collections to friends and family for many years and so in 2010 I thought that perhaps other people might like the opportunity to use genuine antique and vintage pieces at their own high teas, weddings and celebrations. There is nothing quite so lovely as the chink of delicate fine bone china cups and saucers, the tinkle of vintage silver teaspoons and the wonderful sense of occasion that a vintage cake stand or teapot brings to any high tea, garden party or special event. If you dream of antique opulence, old-world glamour and faded grandeur, contact me for a private viewing or to discuss your event. Contact us by email at info@thevintagetable.com.au or 0418 956005. Annie P. Paperie – beautiful hand made stationery, graphic design. A Moveable Feast Catering – Innovative and above all, delicious food for all occasions. Chandelabra Weddings & Events Wedding hire, stylist and planning of highly glamorous weddings. The Travelling Jaspers Stylish and eclectic wedding and event stylists and vintage caravan mobile bar. Our services are only available in Perth but we highly recommend Chris and the team at High Tea Delights to all our friends in the Sydney metro area. For those in the Blue Mountains and surrounding districts, we recommend Katrina and team from What’s The Occasion? 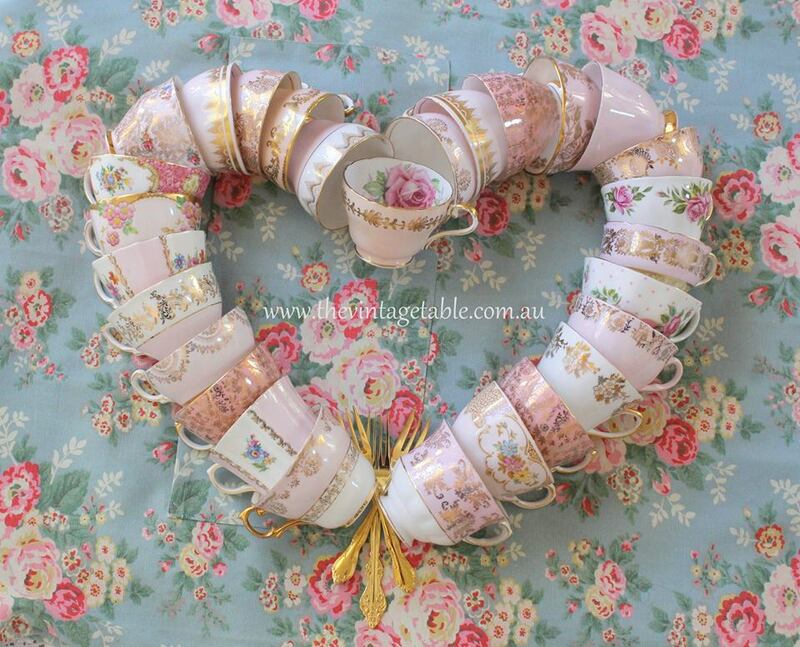 Vintage China & Prop Hire, based in Hazelbrook.